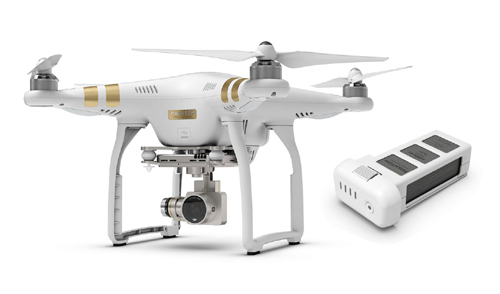 DJI Phantom 3 Professional Drone with Extra Battery Discounts Apply ! DJIPH3PXBAT - DJI Phantom 3 Professional Drone with Extra Battery. Take to the sky and capture your world in beautiful 4K or 1080p HD. The Phantom 3 is an easy to use, fully integrated package with an intelligent system that helps you fly. This is a special order item, please call for details. Discontinued package deal.